This layer configures the various shells available in Emacs. To use this configuration layer, add it to your ~/.spacemacs. You will need to add shell to the existing dotspacemacs-configuration-layers list in this file. You can find a quick introductions to them here. The default shell is quickly accessible via a the default shortcut key SPC '​. It is possible to choose where the shell should pop up by setting the variable shell-default-position to either top, bottom, left, right, or full. Default value is bottom. It is also possible to set the default height in percents with the variable shell-default-height. Default value is 30. The default shell can be set by setting the variable shell-default-term-shell. Default value is /bin/bash. By default the popup buffer spans the full width of the current frame, if you prefer to spans only the width of the current window then set the layer variable shell-default-full-span to nil. The best way to get a sense of what this code is trying to do is by using it. Basically, the philosophy represents a blend between the ease of use of modern day shells, and the review-before-you-proceed mentality of Plan 9's 9term. 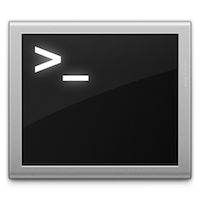 In a nutshell, when em-smart is enabled point won't jump at the end of the buffer when a command is executed, it will stay at the same command prompt used to execute the command. This allows to quickly edit the last command in the case of a mistake. If there is no mistake and you directly type a new command then the prompt will jump to the next prompt at the end of the buffer. Comint mode (Shell mode) has good support for Evil mode as it inhibits movement commands over the prompt. This has the added benefit that Evil mode functions work sensibly. E.g. you can press cc in normal state i.e. evil-change-whole-line to kill the current input and start typing a new command. In Eshell you also kill the prompt, which is often unintended. By default this layer also protects the eshell prompt. If you want to disable this protection you can set the variable shell-protect-eshell-prompt to nil. Making fish shell to work with ansi-term may be a challenge, here are some pointers to save you time to setup your environment correctly. Note: You can open multiple shells using a numerical prefix argument, for instance pressing 2 SPC '​ will a second default shell, the number of shell is indicated on the mode-line. Note: Use the universal prefix argument SPC u SPC '​ to open the shell in the current buffer instead of a popup.